MNLF LEADER Nur Misuari’s men stormed Zamboanga City Sunday hoping to hoist an MNLF flag at the city hall. At press time though, Misuari is nowhere to be found. Some say he’s either in Sulu or Basilan; others believe he’s at Heritage Park. Nur Misuari claims he has “1.3 million forces.” Some 300 of them are now in Zamboanga. The rest are in his head. Maraming salamat po sa kooperasyon. Tatanawin kong malaking utang na loob ang ginawa n’yong ‘yan sa Zamboanga. Salamat po ulit. Perfect timing ka talaga. Saludo kami sa ginagawa n’yo! ‘Wag muna kayong umalis d’yan. Keep it up! Alam naming galit ka rin at maging ang iyong mga tauhan sa baboy. Pwes, patunayan n’yo! Retreat! Now na! Ano ‘tong ikinakalat mong tsismis na magkakilala tayo? Hoy! Nang lumapit kayong mag-asawa sa akin noon, ang sabi mo, “Senator, I’m a fan! Pa-picture naman.” Linawin mo ngayon ‘yan! Hindi ako ang naglabas n’yan. Baka na-hack ang Facebook photos ko. Peks man! Sabi mo sa hearing sa Kamara kahapon, hindi mo ako kilala. Nautot ako sa katatawa. Ang funny mo! 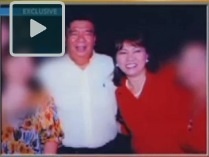 Undated photos of Sen. Frank Drilon with the Napoles couple are circulating online. Analysts say it’s the most damning evidence yet since it marks the first time Janet Lim-Napoles was seen with actual pork. Last Sunday, Janet ‘Jenny’ Lim-Napoles was served pork chop by the police. Interestingly, she refused to eat it. Instead, she asked her guards to deposit it into a senator’s bank account. A former helper in the Napoles household said Janet Napoles bathed in milk. It didn’t help. Novaliches Bishop Antonio Tobias confirmed that a monsignor formerly assigned in Quiapo used to transport the Black Nazarene to the residence of Janet Lim-Napoles upon her instructions. Talk about kidnapping and illegal detention! President Aquino has enacted a law mandating labels on toys to protect the public from potential dangers. A similar law must be enacted to mandate labels on lawmakers. After weeks of heated exchange over the disputed Bonifacio Global City (BGC), Makati City Mayor Junjun Binay and Taguig City Mayor Lani Cayetano declared a ceasefire. Binay has also canceled plans to storm BGC and hoist a Makati flag at The Fort. Manila officials have just announced plans to install free Wi-Fi service in waiting sheds around the city so that residents could go online anytime using mobile phones and other gadgets. The plan was lauded by students and office workers, and was praised by holduppers, snatchers and robbers. 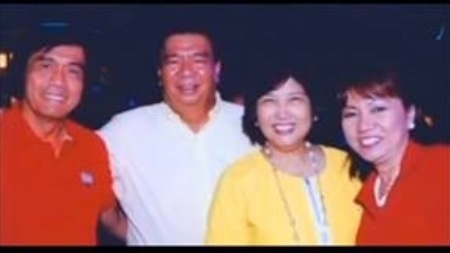 Previous Previous post: JANET LIM-NAPOLES… LIVE! Next Next post: PICTURE! PICTURE!